Why is it, in an age when marketers step all over each other to describe products as "artisan," that designers and studio crafters still shy away from the term? 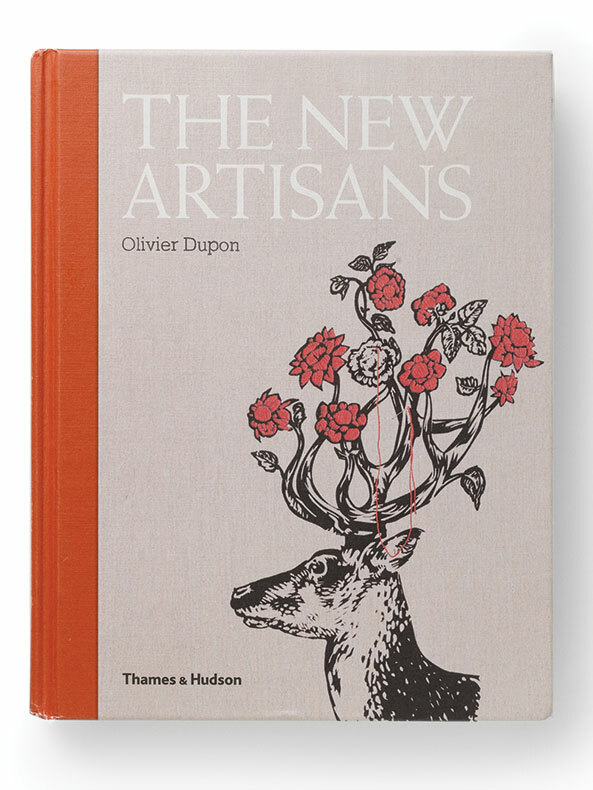 In The New Artisans, Olivier Dupon argues it's time to pull the word "out from its dusty shelf and give it back its noble status." After a career in high fashion, Dupon spent three years as the owner of specialty store Lola et Moi in Sydney, Australia. Although the shop is now closed, his catholic taste in design, art, and craft lives on through his popular blog, Dossier37. Though tied to those pursuits, The New Artisans is much more than a blog or boutique in hardcover form. A closer look reveals Dupon to be a mischievous craft thinker and tireless promoter (as well as a first-rate talent scout). 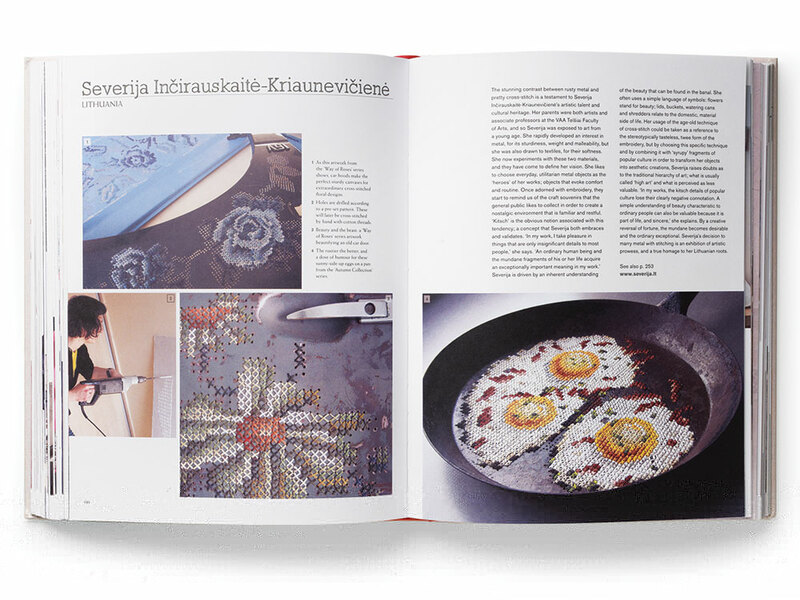 The book's main section profiles artisans at work with their chosen materials, which can be as pedigreed as the haute couture silk fans made by Eloïse Gilles and Raphaëlle de Panafieu for the 184-year-old Parisian firm Duvelleroy, or as novel as cross-stitched car hoods and frying pans by Lithuanian artist Severija Inirauskait-Kriauneviien. Repurposed and upcycled art is also well represented by treasures like American Sarah Cihat's Rehabilitated Dishware line and Australian Suzie Stanford's Holiday collection furniture, reupholstered with vintage beach towels. Together, the 75 profiles prove that the DIY phenomenon isn't limited to any one country. In fact, the book's international focus is its greatest strength, allowing readers to make their own connections among approaches to materials, design, and folk traditions. 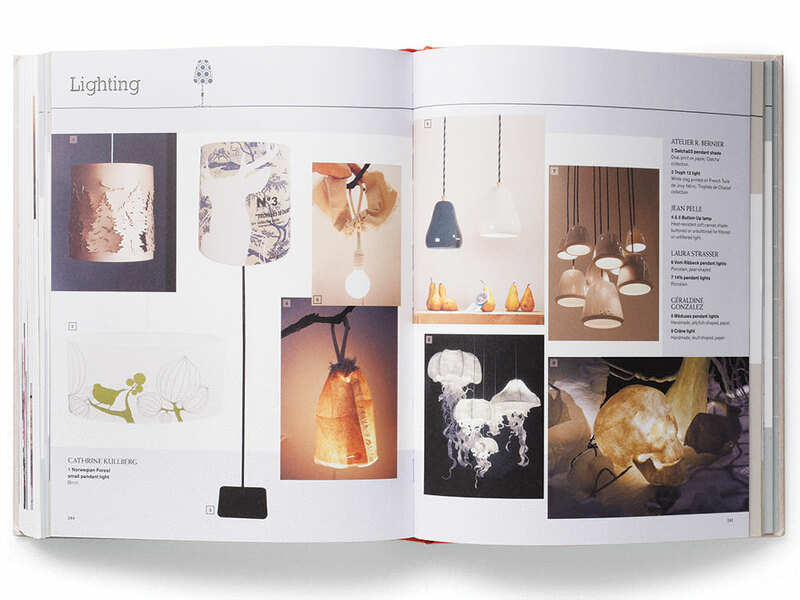 At the back, Dupon has assembled a visual directory of objects grouped by medium or purpose (such as lighting and tableware), reminding readers that the work featured is, after all, for sale. He also recommends shops, websites, and blogs. Like the objects featured in it, The New Artisans is a meticulously constructed work meant to delight whoever is lucky enough to pick it up. Garth Johnson runs the blog extremecraft.com and is the author of 1000 Ideas for Creative Reuse. Individual artist profiles make up the bulk of The New Artisans, yet the themed directories are equally enchanting, channeling the mood of a home filled with complementary works by many different makers.